An oak tree graces the cover of the Lively Oak Tree wedding ceremony program. 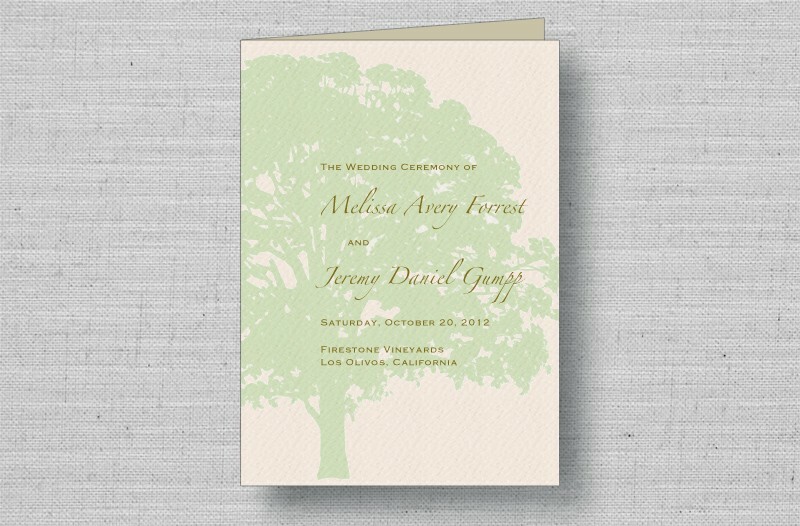 Printed on textured cardstock to match the invitation suite, the Lively Oak Tree wedding program adds a nice theme to rustic, outdoor weddings. 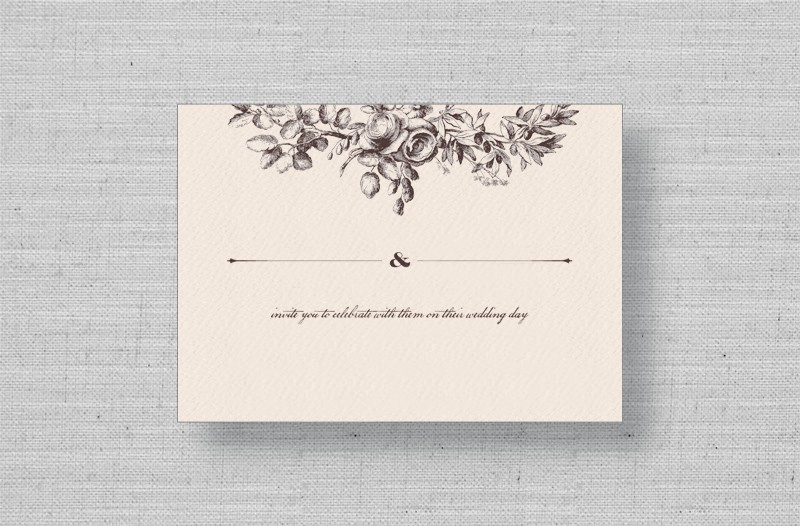 Just enter or email us your wedding ceremony details and we'll take care of formatting, layout and all the rest!